Our new Guru bot significantly increases your ability to interact with Guru directly within Slack. Below are the instructions to install and a detailed description of the core functionality. To set up the Slack integration navigate to the Team screen. 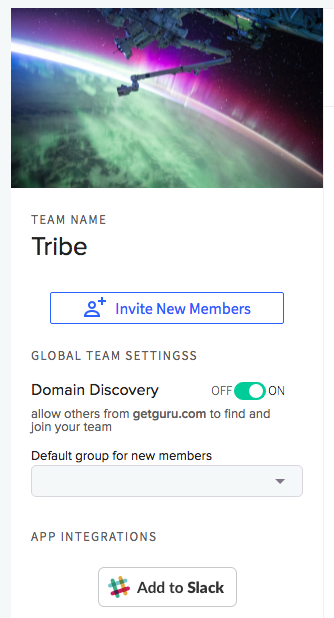 You can access it by going to app.getguru.com/#/team or clicking settings in the extension, your avatar, and selecting ‘Team’, it will redirect you to the Team screen. When you click add to Slack and complete the steps Guru is going to map your users matching on email. This way everyone on your Guru Team will have access to the Guru bot. If there are discrepancies those people will not be mapped and when they go to use the bot for the first time you (the admin) will get a message allowing you to connect them to a Guru user. If someone is not on the Guru team and uses the Guru bot for the first time you (the admin) will receive a message inviting you to either add them to your team or deny their request. Once this process is complete Guru bot will introduce itself and tell you what it can do! You can also invite the Guru bot to any channel by simply including @guru and clicking invite to channel. Add the plus sign reaction to the applicable message, and Guru will turn it into a Card with you as the verifier! React with the question mark on a message in Slack and the bot will search the text in the message in your Guru knowledge base. It will prompt you to publish the results to answer the question, allow you to search again if the right Card didn’t come up, or if you don’t have the information in Guru create a new Card. You can work your task queue by typing work task queue in your channel with Guru. This will start scrolling through your task queue items one at a time and give you the option to comment/answer a question or verify a Card. You can also skip past items if you don’t want to deal with them at the moment. Guru bot will tell you what it does, and for an in-depth overview of each function read below. To see the functionality of Guru bot at any point type help and Guru bot will explain its actions and how to perform them. 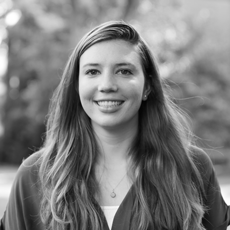 For the admin functionality, linking users, inviting users, and setting up Slack feeds, type help admin. You can receive Guru notifications in Slack, as a note when you enable Slack notifications you will no longer receive notifications via email. Guru bot allows you to verify Cards as they are assigned to you. You cannot verify all of your Cards via Guru bot. Cards that have simply gone stale cannot be verified via the Guru bot, for those Cards you will be sent a notification via the Guru bot directing you to your Guru task queue. To make a post in Slack a Card you can add the plus sign emoji as a reaction on the applicable message. For the bot to see this reaction, it needs to be a member of the channel. Additionally, if you type create card Guru bot takes you through the process of creating a new Card. All Cards created via the Guru bot have the creator as the verifier and the timeline for verification is one month. When asked a question you can answer it or reply to it via Guru bot. If you answer the question via the bot, the verifier is automatically you/or the group the question was asked of and the timeline for verification is one month. You will be notified of any comments mentioning you, and if you reply to a comment via Guru bot it will automatically mention anybody who was mentioned into the reply, but you cannot add additional people to the thread. You can search for and surface all of your Guru Cards with the /guru slash command. The Cards that you surface can be published to a channel, excepting private Cards. Additionally, If someone asks you a question in a channel that you think can be answered with an existing Guru Card, put a question mark reaction on the post, which will prompt the bot to do a search on the text in the post. The bot will send you the results of the search in your direct messages. If you don’t see the correct Card in the search results, you can click on the magnifying glass underneath the results and the bot will ask you for new search terms. Finally, if the Card you want doesn’t exist, you can click the plus sign under the search results to create a new Card. Upon creation, the Card will be posted back in the original channel. Any time you post a Card link in a channel to which the Guru bot is invited the Card will automatically unfurl so it can be read in-line. You can set up feeds that send notifications to Slack channels when a new Card or Board is created in Guru. You can also do this on a Board specific level, so only changes on the Board you select will be sent to the selected channel. We’re very excited about the Guru bot functionality and we hope you enjoy it too! Contact us with any questions via the extension and type suggest in the Guru channel to offer any recommendations!